Though small, the Big 12 is a conference that shouldn’t be overlooked with three of its four teams ranking in the top 25 last season. Drawing all-star recruits should continue to bolster the success of these teams in the coming season, despite the loss of heavy contributors in the class of 2018. After being dethroned in 2018 by UCLA, Oklahoma will look for a way to regain the top spot. Its losses are significant but not insurmountable, particularly considering its incoming class. Vault will see the fewest losses, likely making it the hardest lineup for a newcomer to break into. Olivia Trautman is the likeliest with a solid Yurchenko one and a half, making five 10.0 SV vaults for the Sooners. Allie Stern also has a one and a half but occasionally performed just a full in the past. Head coach KJ Kindler usually prioritizes cleanliness over difficulty, so if Stern needs to do the full to stay clean, she’ll be battling it out with several veterans for the final lineup spot. The Sooner bars lineup lost a few key routines from 2018, so finding gymnasts to fill those holes is essential to continued success. Trautman will lead the options with a clean pak salto and a strong double layout dismount. Transfer Karrie Thomas is also a possibility, earning a 9.820 RQS last season at Maryland and sporting a dynamic Jaeger. Under Kindler’s tutelage, she definitely has the potential to become a top scorer. Last season, Showers was a bubble performer, stepping in on occasion but was never a mainstay. She’ll likely be needed to step into a more permanent role in the lineup this year, especially considering her consistency at the end of the season. Oklahoma beam is famous for its elegance and consistency, but after the departure of last year’s seniors, the outlook is a bit unclear for 2019. Trautman and Stern both have the potential to contribute, but neither of their routines really screams “Oklahoma beam.” Perhaps instead, the Sooners will draw from their returners, adding Carly Woodard back into the lineup after mixed results in her freshman year. Brenna Dowell also teased that she’s training beam and indicated she wants to compete in the all around her senior year. Statistically Oklahoma’s weakest event in 2018 was floor. Despite losing AJ Jackson to graduation, Trautman is a frontrunner to fill the hole, with a strong double layout that should score well in college. Emma LaPinta should also contend, with both a double Arabian and a triple full in her club routine last year. Stern could potentially contribute, but the landing on her full-in can be a little scary, and without the difficulty edge, she’ll have a few other Sooners to beat out if she wants facetime in the top six. Jade Degouveia will also be expected to return in a major way after being limited by injury in 2018. If able to draw on their depth, the Sooners could be in a great position to contend for the national title once again in 2019. The team’s newcomers are strong, but alone, they may not be enough to return Oklahoma to the top. Expect more AA dominance from Maggie Nichols and Anastasia Webb, and perhaps an appearance from Dowell if she can figure out beam. Denver has been right on the edge of the nationals bubble for quite a few years now, really showing its staying power. With another solid class incoming, the Pioneers will look to return to nationals once more, despite the smaller field. Recently, vault has been a relative weakness for Denver, as it’s often only been able to put up five gymnasts. This year, with the addition of Maddie Quarles and Alexandria Ruiz, the Pios boast the potential for five 10.0 SV vaults. Having a 10.0 vault may not guarantee anyone a spot though. Emily Glynn and her Tsuk full were only occasionally featured in the lineup last season while Diana Chesnok and Mia Sundstrom were regular competitors with their Yurchenko fulls. But regardless of difficulty level, head coach Melissa Kutcher-Rinehart will be glad to have depth to her lineup again. All six bar competitors from last season are returning. This isn’t such good news for the freshmen, though, as it will be difficult to crack the lineup. Alexis Vasquez is the likeliest freshman to break in, with gorgeous lines and handstands and an NCAA-ready Maloney to pak combination. However, recent Instagram posts show a cast on her hand. Quarles and Ruiz are also options, but both have leg form issues they’ll want to clean up before making a run for the top six. Glynn and Claire Kern are the most vulnerable of the returners, with Glynn’s stats revealing inconsistency and Kern showing the overall lowest RQS. 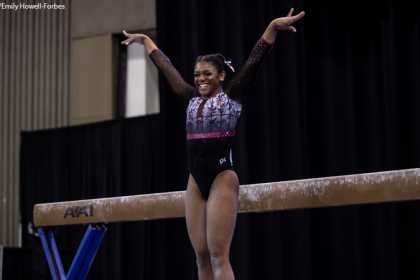 Beam was a bit of a problem for Denver in 2018, as it ranked No. 13 with the team total dipping as low as 48.450 one week. 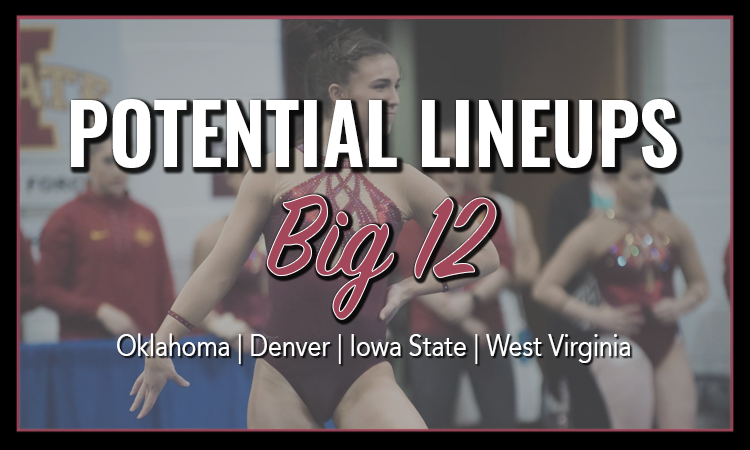 The addition of all four freshmen to the pool of possibilities should help take some of the pressure off, as Vasquez and Ruiz are both known for their beam. Quarles, too, will be an asset despite form issues, showing good difficulty with a triple series and a front toss + layout stepout to knee combination. Ashlyn Johnson could also be valuable thanks to her consistency, despite having a lower-profile routine than her classmates. Junior Courtney Loper is another one to watch as preseason continues, as she was a solid beamer pre-injury. The biggest asset to floor for Denver this year will be the healthy return of Lynnzee Brown, who was limited by injury last season. Kern, who filled in for Brown, will have to train hard this fall if she wants to remain in the top six. However, just knowing they have a backup will be comforting to the Pioneers. Newcomers Quarles and Ruiz should also boost the team’s totals, each with powerful E passes and strong scoring histories. Loper’s return from injury will provide an additional option, though she’ll be more likely to serve as an alternate than a lineup mainstay. Four freshmen and a few returning from injury should mean a much deeper team for Denver in 2019—a luxury it hasn’t seen in a few years. This can only be a good thing for the team’s outlook as the Pioneers shoot to return to nationals. Iowa State snuck into the top 25 at the last minute, largely due to its strong individuals. Unfortunately, many of them have now graduated, so it’ll be up to the enormous freshman class to pick up the slack. Vault was Iowa State’s strongest event last season and its only event ranked better than No. 30. However, losing three vaulters could change that. The Cyclones’ secret weapon here will be Phoebe Turner, a British National Team member known for her Yurchenko double full. It’s not likely she’ll keep it in NCAA—at least consistently—but with all that power, she should still remain an asset. Also able to contribute fulls will be Makayla Maxwell, Ana Palacios, Meixi Semple, Samantha Strickler and Avery Stoll, but they’ll have to contend with some of the returners for the remaining spots. Despite the large freshman class, bars may not have as much depth as the other events. Only three return from last season’s lineup, two of whom were not permanent fixtures. Palacios and Natalie Horowitz are the two likeliest newcomers to contribute as they are the cleanest performers of the bunch. And Semple and Turner could also sneak in, drawing on their elite experience and vocabulary of skills. Stoll and Madelyn Langkamp also have serviceable sets, though they may not be the most reliable options. The loss of its two strongest beamers will not go unnoticed in the Iowa State lineup. Horowitz, Semple and Hannah Morrow are the strongest of the freshmen options, particularly Horowitz, whose set features a split jump to one-handed back handspring combination. The rest of the newcomers will have to demonstrate better consistency before they become key players, but it’s likely that Strickler, Kelsey Boychuk and Grace Woolfolk will also be in the mix. 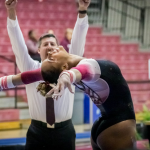 Consistency is also an issue for some of the returners, so Orrego or Casandra Diaz may find their spots stolen by freshmen if they can’t find their balance. Sydney Converse will also be returning from an Achilles tear that took her out of the 2018 season; she’s was a regular contributor, so watch out for her as well. Floor was statistically the weakest event for the Cyclones in 2018, coming in at No. 33 and losing its best three performers. Still, hope appears in the form of Palacios and Turner who both have powerful tumbling and good difficulty, competing a full-in and a triple twist, respectively. 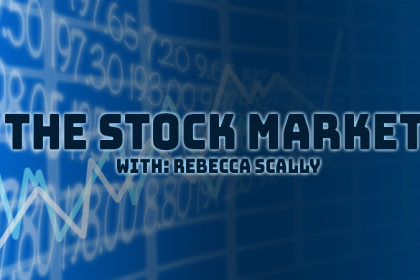 Horowitz, Maxwell and Strickler could also be viable options should they be needed. Converse was a floor staple pre-injury, though due to the nature of her injury, she may not be ready to tumble at her previous level come January. All in all, Iowa State looks to be poised for a much stronger year in 2019, marked by the addition of an enormous and talented freshman class. Meaghan Sievers will again have a presence in all around, but anyone else doing all four seems improbable based on the sheer number of options available. The Cyclones will look to capitalize on that depth to reach heights they haven’t seen in many years. West Virginia prided itself on consistency in 2018, not counting a fall in a rotation until regionals—the main reason it dropped from qualifying to regionals at No. 27 to finishing the season at No. 36. The Mountaineers lose key contributors, namely Zaakira Muhammad and Tiara Wright, spots the team hopes its incoming freshmen can fill. Vault was West Virginia’s best event in 2018 and the team’s only top 20 finish, finishing at No. 17. But the Mountaineer vault squad sees just three consistent competitors returning. Chloe Cluchey, Kassidy Cumber and Michelle Waldron could see time with their fulls, and freshman Rachel Hornung sports a clean full herself; she’ll compete with the other fulls for lineup time. Jaquie Tun has scored well for competing a Yurchenko tuck full, and it’s clear that West Virginia prioritizes clean, consistent vaults over difficulty, making Tun a viable option as well, despite the vault’s lower start value. Statistically speaking, bars was West Virginia’s lowest scoring event in 2018. Lucky, the Mountaineers’ incoming class is strong there. Freshman Esperanza Abarca has the clean routine you would expect for someone who trained at WOGA, though her gienger does have leg form. Hornung also has a nice bar set, featuring a unique toe-on double front dismount. Not to be overlooked is classmate Kendra Combs who has a gorgeous Maloney to pak salto combination. Of the returners, Abby Kaufman’s spot is the most vulnerable while Tun, Cluchey and Sydney Marler should factor into the equation as well. Beam sees four consistent competitors returning to the lineup, all with a RQS of at least 9.770. 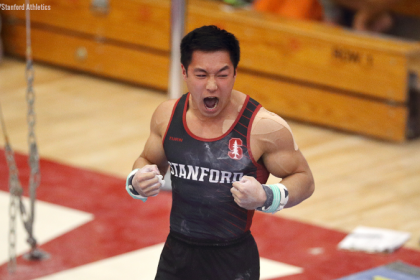 The incoming class is strong on beam as well, so the event could become a strength. Abarca’s secure set had a multitude of connections in J.O., so she’ll be able to pick and choose which elements will lead to the most consistent and highest scoring routine. Combs sports a clean NCAA-ready set while Hornung should see time in the lineup as well with her consistent work featuring a front aerial to back tuck combination. Taylor Sell and Kristin Lang have potential as well but neither has been very consistent in the past. Floor sees just three consistent competitors returning yet a slew of other options. Kirah Koshinski, Abby Kaufman and Erica Fontaine should be mainstays, but the other three spots are up for grabs. Returners Linnen, Tun and Cluchey are options, but the freshmen will be fighting for these spots as well. Lang is most likely to break a lineup here, boasting a clean, NCAA-ready routine that’s not overly difficult but is consistent. Hornung is another clean option on floor while Black’s power makes her a strong contender as well. And floor isn’t Abarca’s strongest event, but her excellent execution makes her another viable option. Despite losing key routines from Muhammad, the Mountaineers should be in a good place heading into 2019. It’s not a question of depth but rather who can consistently score well. It won’t be an easy task, but the Mountaineers will have to do more than just be consistent to ensure they won’t be competing in a regional play-in meet.